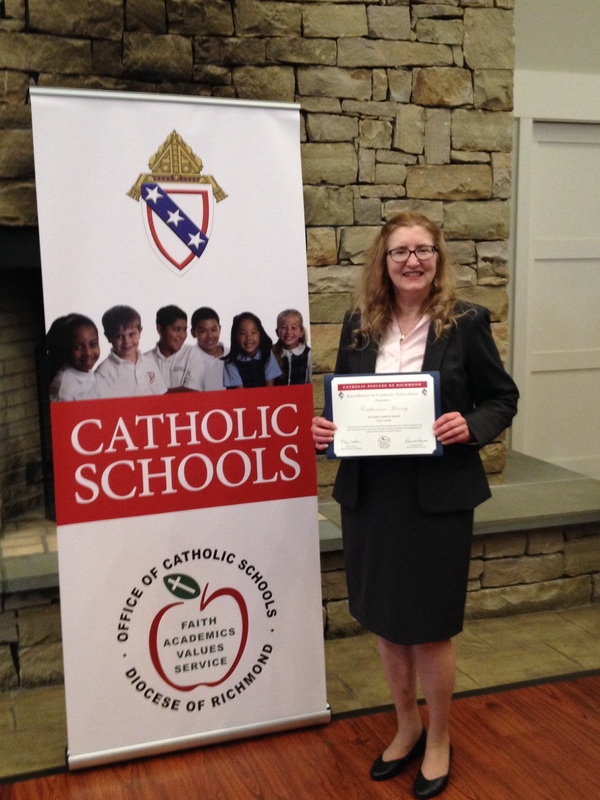 The Office of Catholic Schools for the Richmond Diocese recognized school winners for an Excellence in Catholic Education Award at a reception on May 10. Mrs. Hoang was selected by her fellow teachers and her administrators as the All Saints’ recipient. Cathy Hoang has served God at All Saints for over twenty years as a pre-kindergarten teacher. She truly lives the mission of the Catholic Diocese to develop and nurture the spiritual, intellectual, social, and emotional growth of each student in the spirit of the Gospels and the teachings of the Catholic Church. Showing appreciation for various cultures, music and nature are passions of Mrs. Hoang and she eagerly shares these passions with her students always through curricular ties. Mrs. Hoang is a kind, loving, energetic, enthusiastic, creative, dedicated, flexible and caring teacher!